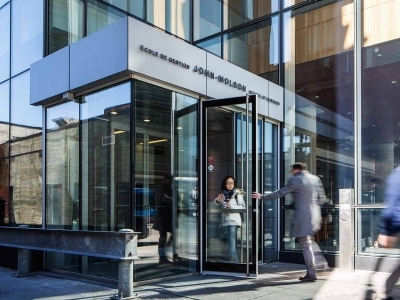 January 29, 2019, 6 p.m. – 10 p.m.
Concordia University's John Molson School of Business (JMSB), in collaboration with Quantum Test Prep, is hosting a FREE GMAT information session on Tuesday, January 29, from 6 to 10 p.m. Most JMSB grad programs require a GMAT for admission. This GMAT information session, designed and taught by expert GMAT instructors from Quantum Test Prep, will help you understand what to expect from the GMAT exam, and how to create a study plan. You will also have the opportunity ask questions about JMSB graduate programs. Full information session details below. Part 1: Find out what it takes to be successful on the GMAT. In this single evening session, an expert Quantum GMAT instructor will begin by reviewing the overall structure & format of the current GMAT exam. We will examine score requirements for various top schools and provide students with some key GMAT test-taking strategies by tackling some real Math & Verbal questions in a mini-GMAT class. We will also devote some time to uncovering and highlighting the secrets to getting a high score on the GMAT. We will analyze the study habits of real top scoring GMAT students and benchmark key study criteria such as: amount of time spent studying, # of practice questions they do, # of full-length mock exams, etc. Part 2: We will discuss the key steps to building an effective GMAT study plan, including identifying some excellent hidden resources available to help students achieve a top GMAT score.